Phar Lap – can we move him? Phar Lap was a legendary racehorse and an adored animal hero for a generation of New Zealanders (where he was born and brought up) and Australians (where he mostly raced). After Phar Lap’s death on 6 April 1932, his owners, Mr D J Davis and Mr H R Telford, presented his hide and heart to Australia and his skeleton to New Zealand. Phar Lap © Te Papa. You can see his skeleton on display in Te Papa on Level 4 and get an insight into his amazing racing career in this Tales from Te Papa. We don’t often get requests to loan Phar Lap to other institutions but late last week we received a request from the Minster of Racing in Victoria, Australia. 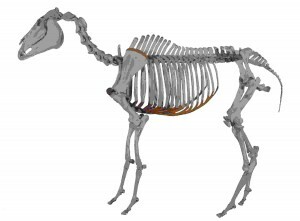 He wants to ‘reunite’ Phar Lap’s hide in Melbourne Museum with his skeleton from Te Papa and his heart from the National Museum of Australia in Canberra. The reason for requesting the loan is to promote and celebrate the 150th anniversary of the first running of the Melbourne Cup. The National Museum of Australia has declined to loan the heart, it’s just to fragile to travel even to Melbourne. We now have our conservators assessing the skeleton – it’s been on almost continous display since the 1930s! The condition report will help us to decide whether we can agree to or decline the Minister’s request. I live in America and i do not know much of this horse named, “Phar Lap” ,but i think it was best what they decided to do with the remains of him ,but if anyone has heard of a famous racehorse named, “Secretariat” he won the Belmont Stakes by 24 lengths only because his heart was twice the size of a regular horse i think they should of put him on display as well in america like the people did with Phar Lap. Since phar lap raced in Australia mostly, his hide should stay there. since he was born in new zealand they gave them the skeleton.and australia kept the heart so they could run tests to see how he died. I hope Phar Lap is happy in heaven with Tommy Woodcock. Ausssie C, ask one of our hosts at the museum for me. Would be great to meet you! I think the Status Quo should be left alone. Phar Lap’s heart is too delicate to move even to the adjoining room. His hide is a fitting display of the talent he showed in the country where he achieved his success and renown. His skeleton was rightfully returned to his birthplace as a tribute to the breeding and care that New Zealand offered him. Leave him where he is and if Aussies want to see him, which we do, we’ll come there and bring in tourist dollars. See you in a fortnight! 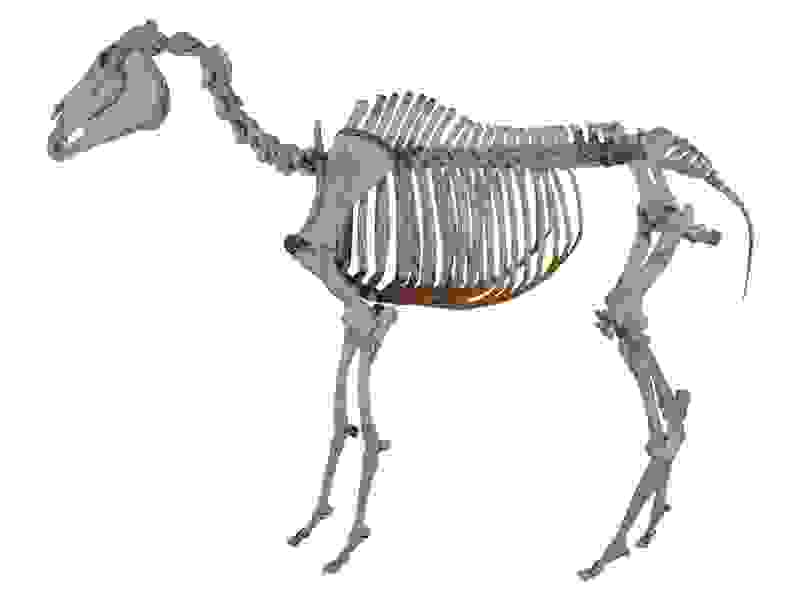 In one short sentence “on no account should the skeleton of Phar Lap go to Australia”. Would they loan his hide and heart to us? Maybe we could loan the skeleton in exchange for some interesting Captain Cook items, the original Pavlova reciepe, Crowded House and what remains of Dragon. Oz could keep Russell Crowe and Sonny Bill Williams though – no local interest in either item. No. My opinion has become solid -I do not believe the skeleton should leave N.Z. This is to protect the integrity of said skeleton; but also because N.Z. could rightfully ask to ‘borrow’ the hide in return (at some point). And a refusal would be arrogance at its utmost. Each part should stay where it is. I might also note that this whole saga seems like a ploy to distract the public from serious policy concerns with the current Victorian government. The truth hurts ‘Rock The Boat’, if we sent the skeleton to Victoria, you can bet ya boots the aussies will come up with some weak excuse to keep it in Oz. Wake up Rocky… and find ya own horse. Kelvin Lawson displays an overt ignorance in his rascist comments and should be ignored. It was the owners of Phar Lap that donated the sum of his parts and their wishes should be respected in perpetuity. I guess it’d be good to see the skeleton tour over here to Victoria -but the hide is on display and if there was any risk whatsoever to the integrity of the skeleton, then it should stay over in NZ.